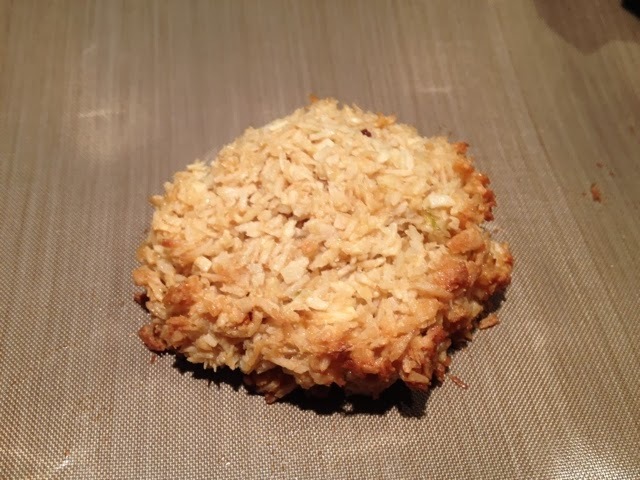 Sarah's Kitchen Diary...: Lime and coconut macaroons...great treat and healthy to boot! Lime and coconut macaroons...great treat and healthy to boot! Wow, wow, wow. I'm going to keep this short and sweet (excuse the pun) I've only just made these but they were so great I had to post straight away. In the search for gf and dairy free treats I remembered the old fashioned coconut macaroons that my nan used to love and decided to give them a go with the updated twist of lime. They taste great, very pleased with the chewy but crisp texture and the lime zing lifts them perfectly. The best surprise though was that I checked the nutritional value and they're perfect for a healthy treat too! 80 cals, low in carb and high in protein and fibre with moderate healthy fat from the coconut. They'd make a great gift for a friend on a diet. Pile 5-6 up and tie with a pretty bow. 1. Place the egg whites in a bowl and add the sugar. Beat well until incorporated.